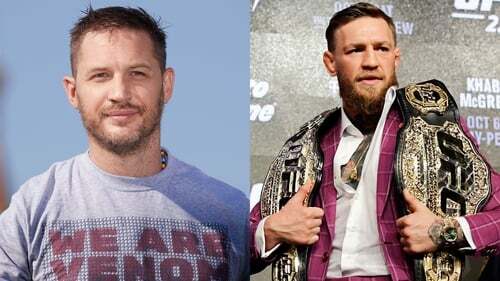 Tom Hardy has discussed his decision to base a Venom character on Conor McGregor, telling RTÉ Entertainment it was largely because the Irish MMA fighter "wants to have a scrap with everybody". Venom is an alien symbiote who needs a human host to survive and Hardy plays the anti-hero and investigative journalist Eddie Brock, the character who first becomes Venom, in the new Spider-Man spin-off. Hardy, who is no stranger to superhero franchises having played Bane in Christopher Nolan's The Dark Knight Rises in 2012, said he drew on a mix of inspirations for the Venom movie, and that McGregor was a "key note". In an interview with RTÉ Entertainment in London, Hardy was asked if McGregor should be "offended or flattered" by the comparison. 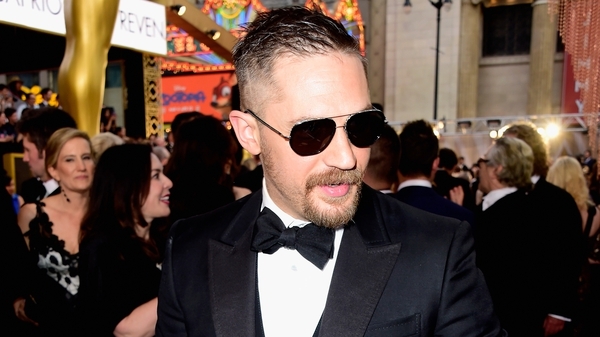 "I don't think he'd be bothered, really," Hardy replied. "Conor doesn't strike me as the type of person who might be that bothered! "It was not Venom: he was not based on him. There were more elements of Eddie Brock which needed to be pinned on somebody who's incredibly handy physically. And, obviously, Conor is incredibly handy physically. "There was an aspect the studio wanted somebody who could fight, which they always do in these sort of hero movies. They want somebody who can have a scrap. Conor obviously wants to have a scrap with everybody, so that's useful." The Revenant and Mad Max star said he also drew on some psychological elements "like the neuroses of Woody Allen". He added: "Then there were bits of Harrison Ford as well from Indiana Jones and other elements within. "He [McGregor] was definitely a key note but I don't know if you'd recognise him in the portrayal. It was more of an interior choice, if that makes sense." Venom is out in cinemas in Ireland on October 3. For more movie news, click here.